This is an amazing secret sleight of hand from your PALM! At this moment, let me introduce you a new technique that I call the EXOPALM THE KARATE CHANGE. 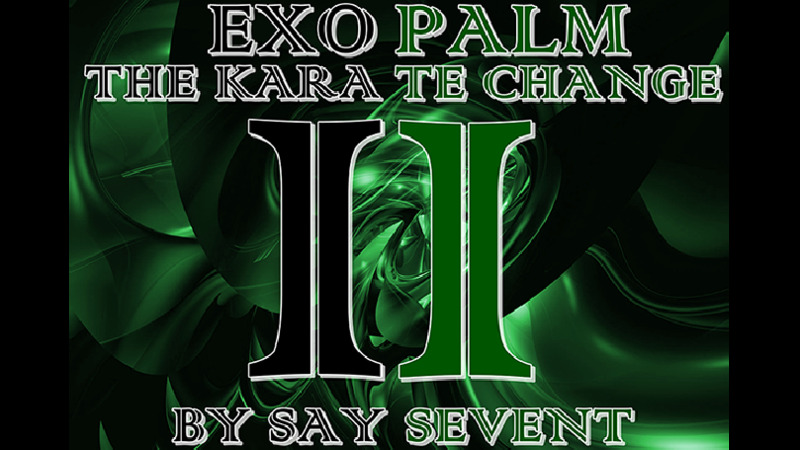 This is the second edition from the EXOPALM series. EXOPALM THE KARATE CHANGE is a very useful tool for performing card magic. Who doesn't like to perform card magic? I think many people enjoy performing card magic. Here's another technique for you to use. Try it! - FIRST, you learn a useful technique for achieving card magic previously unseen. - SECOND, I teach you a BONUS variation that I call "KARATE CONTROL." What is it, you ask? You can see the demo here (included in the tutorial). - THIRD, this is ultimate for you! I will give you a SECOND BONUS method -- I call this, "KARATE STEALTH." To see it in action, again watch the demo here (included in the tutorial). - NO FLAP OR OTHER DEVICE! - And, NO SET UP before your performance!! - You can do anything you want before you start it. You can shuffle, you can fan the deck, or anything else! * The explanation is EASY to UNDERSTAND!! * Detailed 15 MINUTE explanation!! You can learn this RIGHT NOW!! Download the video and soon you'll be using these techniques!